Professor Hani Nassif is currently working in the research area of structural health monitoring (SHM) of bridges and the use of advanced cementitious materials for infrastructure applications. 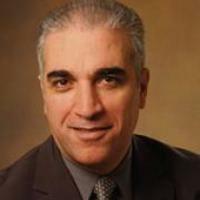 Dr. Nassif is currently the Director of the “Bridge Resource Program (BRP)”, sponsored by New Jersey Department of Transportation (NJDOT), designed to assist NJDOT in finding practical solutions for various challenges related to design, evaluation, load rating, SHM and Non-destructive testing (NDT), innovative materials, as well as on-call emergency responses. He is also serving as the Associate Director for Outreach and Technology Transfer, for the newly established Tier 1 Center (2017-2021), “Connected Cities for Smart Mobility toward Accessible and Resilient Transportation (C2SMART)” led by NYU. He also served as the associate Director for the Center on Research on Concrete Application for Sustainable Transportation (RE-CAST), another Tier 1 University Transportation Centers (UTCs) led by Missuori University for Science and Technology (MUST) (2013-2018) to address the U.S.DOT’s strategic goal of State of Good Repair. He is a Fellow of the American Concrete Institute (ACI) and past member of its Technical Activity Committee (TAC) and served as the President of the New Jersey ACI Chapter. He is active in various committees in ACI and TRB. He received various awards including the Lifetime Achievement Award from the NJACI Chapter and Concrete Aggregate Association, AASHTO’s Research Activities Committee (2013) “Sweet Sixteen”, Project Implementation Award from NJDOT (2013 and 2017), American Council of Engineering Companies (ACEC) Educator of The Year Award (2006) and American Society of Civil Engineers (ASCE) Central New Jersey’s Educator of The Year Award (2005) for excellence in education and his dedication to student learning. He also served as the President of the Rutgers’ Chapter of the Scientific Research Society. He is a member of the Engineering Honor Societies Tau Beta Pi and Chi Epsilon. Dr. Nassif has several years of practical experience in the area of structural design and construction. 2018- Lifetime Achievement Award, selected by the New Jersey American Concrete Institute (NJACI) Chapter in recognition of demonstrated value of research to the concrete community, to be awarded during the Gala Award Dinner and Ceremony on May 10, 2018, (announced 1/22/18). 2017- 10th Annual Research Implementation Award, awarded in recognition of demonstrated value of NJDOT research to the transportation community for being PI on project entitled “Route 139 Rehabilitation: Pulaski Skyway Contract 2,”, 19th NJDOT Research Showcase, October 25, 2017. 2015- Grand Project Award presented at by the 52nd Annual NJ Jersey Concrete Awards, for Project titled: “The Lewandowski Memorial Hackensack River Bridge,” funded by the New Jersey Turnpike Authority. 2014- Appreciation and Recognition Award for leadership role while serving as President of the NJACI Chapter, 2014. 2014- Formal Invitation from AASHTO-RAC for Professor Nassif and NJDOT Research Bureau Project Manager, Ed Kondrath, to present the "Sweet Sixteen" project in a Special Session at the 2014 Annual TRB meeting, in Washington, D.C.
2013- High Value Research “Sweet Sixteen” Award by the AASHTO Research Advisory Committee (RAC), for Project titled: “Elimination of Weight Restriction on Amtrak, NJ Transit, and Conrail Line,” funded by the New Jersey Department of Transportation was one of the sixteen projects out of more than 100 that were selected for the 2013 High Value Research Award by the AASHTO RAC. 2013- 6th Annual Research Implementation Award, “Elimination of Weight Restriction on Amtrak, NJ Transit, and Conrail Line,” 15th NJDOT Research Showcase, October 2013. 2011- Best Paper Award, “Effective Flange Width for Composite Steel Beams,” co-authored by Talat Salama, PhD, The Journal of Engineering Research (TJER), Sultan Qaboos University, Muscat, Sultanate of Oman. 2010- International Visiting Scholar, Kung Hee University, School of Engineering, Siwon Campus, Seoul, S. Korea, 2010-2011. 2006- Educator of the Year Award, American Council of Engineering Companies (ACEC), NJ, 2006. 2005- Project Award for Rutgers University, Parsons Brinkerhoff, and NJDOT received for role as PI on smart bridge construction and research on the “Doremus Avenue Bridge Project,” American Council of Engineering Companies (ACEC), NJ, 2005. 2005- Fellow, American Concrete Institute, 2005. 2004- Medallion of Appreciation, presented by the FHWA and NJDOT for organizing the 2nd Prefabricated Bridge Elements and Systems Workshop, New Brunswick, Sept. 8-10, 2004. 1992- Student of the Year Award, (1991) Region V - Great Lakes University Transportation Center (GLUTC), U.S. Dept. of Transportation, Transportation Research Board (TRB) Annual meeting, Jan. 1992. American Society of Civil Engineers (ASCE), 1991-present. American Concrete Institute (ACI), 1992- present. Transportation Research Board (TRB), 1993- present. International Association of Bridge Management and Safety (IABMAS), 1999-present. Heavy Movable Structures (HMS), 2002-present. International Association for Bridge and Structural Engineering (IABSE), 2014-present. Structural Engineers Association of New York (SEAoNY), 2016- present. Institute of Electrical and Electronics Engineers (IEEE), 2016-present. Member; Elected by ACI’s National Membership, 2018-2019. Nominated by the ACI Board for election to the Nomination Committee, 2015-2016 and 2017-2018. Selected by ACI President, Bill Rushing, to serve on a task group for evaluating the Open Session during the ACI Convention, 2015-2016. Member, 2011-2017; Convention Committee; Liaison member to the Eastern Pennsylvania and Delaware (EPD) ACI Chapter for Organizing the ACI Convention in Philadelphia, PA, 2011-2016. Member, 2006-2012, Chair of TAC’s Task Group on Awards, 2008-2010. Member, 1996-Present; and Chairman Bridge Design Subcommittee, 1996-2006. Board of Direction, Elected, 2005-2012, Vice President, 2009-2012, President, 2012-2013, Past President Board Member and Chair of Nomination Committee, 2014-2016, Board Member, Elected, 2017-Present. • Committee on LRFD, Member, 2003-2006. • Committee on Safety of Buildings, Member, 1994-1998, 2003-2006. • Committee on Safety of Bridges, Member 1994-2006, Chair, 2003-2006. • Committee AFF10 on General Structures, Member, 2009-present. • Committee on Dynamic and Field Testing of Bridges, A2C05, and the Chair of its Sub-Committee A-Ongoing Research Projects (2000-2004), Secretary 2003-2006, Member 1995-2006. • Committee on Seismic Analysis and Design of Bridges, Founding Member, 1996-2005. • Committee on Mechanical Properties of Concrete, Member, 1998-2010. • Education Committee of the Post-Tensioning Institute (PTI), Member 2001-present. • Bridge Committee of the Post-Tensioning Institute (PTI), Chair 2009-2013, Member 2001-present. • Committee for the International Ferrocement Society, Member, 1998- Present, Board Member, 2012-Present. IEEE Signal Processing Society, Member, 2016- Present. IEEE Intelligent Transportation Systems Society, Member, 2016-Present. Demiroluk, S., Ozbay, K., Nassif, H.,(2018) “Mapping of Truck Traffic in New Jersey Using Weigh-In-Motion (WIM) Data,” Journal of IET Intelligent Transport Systems (Accepted). Abdulhameed, H., Nassif, H., and Khayat, K. (2018) “Use of Fiber-Reinforced Self-Consolidating Concrete to Enhance Serviceability Performance of Damaged Beams,” Transportation Research Record: Journal of the Transportation Research Board (TRB), (Accepted). Lou, P., Nassif, H., and Truban, P. (2018) “Development of Live Load Model for AASHTO Strength II Limit State,” Transportation Research Record: Journal of the Transportation Research Board (TRB), Structures, TRB of the National Academies, Washington, D.C., (Accepted). Su, D., Nassif, H., and Xia, Y. (2018) “Optimization of Deck Construction Staging for Multiple-Span Continuous Steel Girder Bridge,” American Society of Civil Engineers (ASCE) Journal of Performance of Constructed Facilities, Volume 32, Issue 1, February. Portela, E., Teixeira, R., Bittencourt, T., and Nassif, H., (2017) “Single and Multiple Presence Statistics for Bridge Live Load Based on Weigh-In-Motion Data” IBRACON STRUCTURES and Materials Journal, Volume 10, Number 6 (December 2017) p. 1163 – 1173 • ISSN 1983-4195. Lou, P., Nassif, H., and Su, D. (2017) “Impact of Heavy Freight Railcar on the Remaining Fatigue Life of Centenarian Railway bridges,” ASCE Journal of Bridge Engineering, Vol. 22, Issue 11, November, (In Press). Xia, Y., Nassif, H., and Su, D. (2017) “Early Age Cracking in High Performance Concrete Decks of a Curved Steel Girder Bridge,” American Society of Civil Engineers (ASCE) Journal of Aerospace Engineering, Volume 30, Issue 2, March.